When it comes to reliably amplifying exposure and gaining potential leads for the business, social media tools extend their helping hands in an efficacious manner. With the advent of such marketing automation tools, it has become pretty easier to get organized while being free for paying heed to other preliminary tasks. If you are figuring out the best social media management tools for reshaping the marketing efforts, it is vital to select the one that may offer efficient automation as well as all – in - one social media integration. Fan Page Robot is one of such tools that not only helps in automating the social media management, in fact, it effectively synchronizes marketing activities with other business chores. Have you put your social media marketing on autopilot? Have you integrated the Instagram, LinkedIn, Pinterest, Facebook, Twitter and all major social platforms under an umbrella? 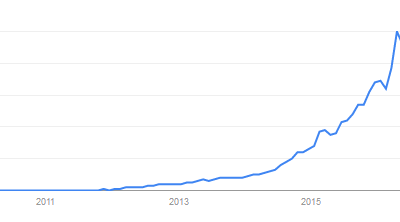 Can you figure out the trending content to make viral with users? Do you know who are the top influencers in your target industry? If you have not the answer to these and similar questions, you might be lagging behind because of an inefficient marketing automation. Fan Page Robot with its multi-dimensional features will give you an edge over competitors with an automated marketing strategy that will let you come up with flying colors. 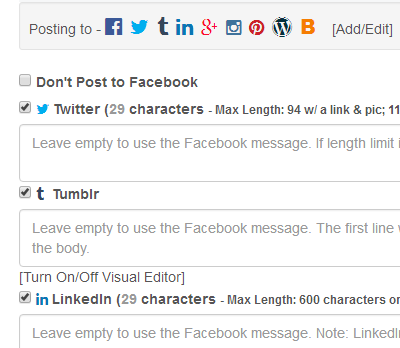 When to publish the posts or share with users? It is the question that must be answered as it can simply make or break your campaign. Fan Page Robot is undeniably the best of social media tools that let you determine the right time to post with its auto scheduler. It automatically determines the best time to publish a post on social media pages. You don’t have to face the hassles of manual posting as auto scheduler automates the posting schedule. When your posts are published on right time, an exponential increase in user engagement can be achieved. Finding the influencers and experts in your niche will help you in devising your Facebook marketing strategy or Twitter campaigns with the right approach. You will come across the aspects where you lack and need improvement for gaining an effective online presence. The software facilitates you in revealing the top influencers of your industry. So you can connect with them and share their posts to your social media pages. This feature helps you in improving social media marketing strategy as wells as expanding your network. Hashtags play a pivotal role in social media marketing. Selecting the right ones will make your posts visible on a large scale. Fan page Robot has a feature to automatically generate hashtags and determine effective hashtags for your posts. As you type in a hashtag, it will show you the related ones with a detailed information of an average number of views, shares, and favorites. This quality feature is the secret ingredient to maximize your exposure and gain credible followers/likes. A good organization is important in synchronizing the business chores. It not only aids you in automating the marketing tasks but will help you in smart management as well. 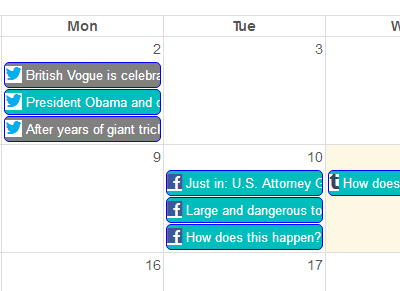 The comprehensive calendar feature is scarce in most of the social media tools. But using Fan Page Robot, you can have an efficient social media content management. You can view and manage the posts by days, weeks or months using an appealing calendar view. Just click on the desired date/time to set a post’s schedule and it will be posted in that time automatically. It is significant to know the right keywords in order to plan a marketing strategy. If you are not focusing the trending keywords as per your niche, it might be a disaster for your overall marketing plan. Fan Page Robot is one of such digital marketing solutions that serves you by discovering the Google’s trending keywords according to the target industry. So, you may select the keywords that will definitely result in increased traffic and potential leads. Unlike many other social media tools, Fan Page Robot is not merely an automation software. It is a complete marketing pack that offers smart management. Besides automating the marketing tasks, the software is capable of turning any web page into a lead page for your business. With this revolutionary feature of Fan Page Robot, you can advertise your products/services on the authoritative websites, like Yahoo, YouTube etc. Without any additional fees or hidden charges, you can use WYSIWYG editor (in the software) to design appealing lead generating forms. This will compel visitors to your site and you will have successful leads within a few clicks. Another exciting feature offered by this intelligent marketing automation tool is the ability to add a text watermark to the pictures you share on social media pages. If you have the right to reuse and modify the pictures (you are going to share), you can add a watermark using Fan Page Robot. This feature can smartly work using multiple languages and special symbols. Just turn on this feature on each fan page where you have to share the image. This is one of many incredible features of Fan Page Robot that is not commonly available in most of the social media management tools. The built-in URL shortener is an easy way to monetize your posts and enjoy lucrative profits. 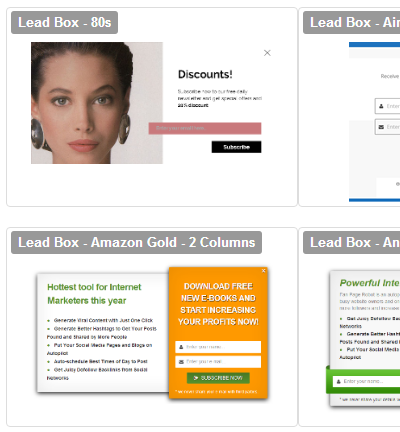 The popup campaign builder enables you to advertise your products in a usual manner. When you share an article link created by this campaign builder (in the shortened URL format of Rock.ly), users will click and before viewing the original link, they will view your lead generating form first. That is the way you can convert visitors into potential leads and thus regular customers. A very useful feature to know more about your competitors and sources of viral content, is the enhanced search for Facebook Pages. This feature is really handy to determine the areas where your Facebook page needs improvement. 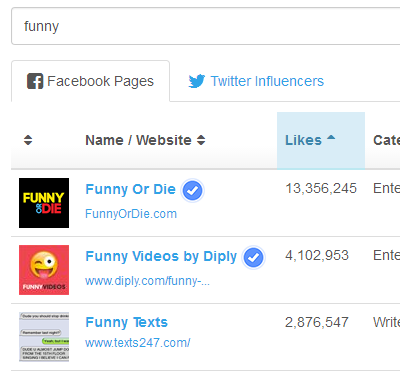 Entering the target keywords in Content Generator, you can retrieve the top Facebook Fan Pages related to your industry. So, you can have the information about the sources for viral content generation, top influencers and local businesses. Since the software continuously goes through upgrades and development, this tool will have future improvements in the form of instant display of fan page content, ability to export data to an excel file and other major metrics related to competitors/influencers research. A very handy feature of Fan Page Robot is to combine multiple social media posts into one article. The software can automatically combine social media posts, videos, images and news into one blog post and auto post to Blogger, Tumblr or a Wordpress based site. This feature helps in filling your blog with SEO keywords, creating important stories or updates related to your niche and auto-generating the trending images or videos. It is incredibly simple to use RSS feeds for sharing posts on social media pages. Fan Page Robot is equipped with this facility that enables an individual to auto post content from a website’s RSS feed. Just enter the URL of a website’s RSS feed in ‘Generate Content’ tab and click on ‘Search/Load feeds’ button. This will load the feeds or content from the website within no time and click on ‘Save Feed to Content Mixer’. Then, enable the Autopost feature in Content Mixer, so the software will automatically share posts from the website’s RSS feed whenever there is new content. With the further enhancement, the software offers automatic posting to Facebook groups that you are admin of. When you click on ‘Add Facebook Groups’ at the bottom of fan pages list, it will enable the software to manage groups on your behalf. Moreover ‘Post to More Fan Pages’ feature will let you cross - post to dashboards of different fan pages and groups. These upgraded features add more value to the software’s functionality and credibility.